For reliable, no-hassle sewer lining service in lovely Ladue, Nu Flow St. Louis is the pipe restoration company you can trust. Our state-of-the-art, trenchless technology solves even the most difficult sewer repairs with a minimum amount of disruption to your busy schedule. Nu Flow St. Louis is the world leader in premium sewer lining service. Our tools and techniques are expertly developed to provide effective pipe repair while protecting your investment in your home or business facility. Nu Flow services are also eco-friendly, protecting the local environment from damage and contamination as well as reducing landfill waste. Modern trenchless sewer repair solutions are much more efficient and affordable than traditional excavation methods that must expose the entire length of the damaged pipe so that it can be replaced. 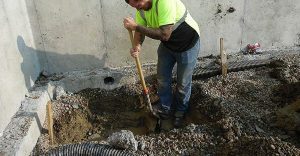 Rather than excavating large sections of your yard, we use pre-existing access points that are designed into the plumbing to allow repair technicians to remove obstructions. These openings can be exposed with minimal effort, so your well-planned landscaping, drives, and trees are safe from costly damage that typically occurs during sewer repair. The elimination of post-repair property restoration coupled with reduced labor needs, equipment allocation, and materials generates cost savings of 50% or more. It also reduces the process time for a typical repair from days or even weeks to as little as 24 hours, so your household or customers won’t have to deal with a long-term disruption. To complete a sewer lining restoration, Nu Flow St. Louis begins with a sewer camera inspection of the faulty pipe and neighboring connections. We fully inspect for signs of damage, corrosion, and obstructions that are inhibiting the function of your sewer system. This helps us verify that our restoration plan will effectively treat the issues that have developed in your pipe without adding any unnecessary work that would drive up the cost. After we’ve cataloged the problems, we’ll then clean the pipes with our hydro jetting service, an innovative pipe clearing technology that scours the pipes clean with pressurized water. This removes buildup and corrosion, preparing the interior of the pipe for the lining. It ensures optimum adhesion of the repair material for better results. Once the pipe is ready, our expert technicians insert a soft tube coated with an epoxy resin through the exposed access points and place it to cover all of the damaged areas. We then inflate the tube, which presses the epoxy against the interior of the pipe, sealing away the damage. The new pipe is allowed to cure for a few hours until it forms a new, cured-in-place pipe (CIPP). Its slick surface promotes waste flow, and its innovative material resists rust, corrosion, and tree root infiltration for up to half of a century. Our sewer lining service is the effective, long-term solution you’re looking for to restore your sewer to peak efficiency. When busy Ladue homeowners and businesses need the best in sewer lining service, you can turn to Nu Flow St. Louis for innovative technology and superior customer care. We’re proud to bring the most modern solutions that guarantee reliable results to every client. Call today and let our expert technicians work for you!